This special edition includes both the original 91-minute cut and the 77-minute reissue! 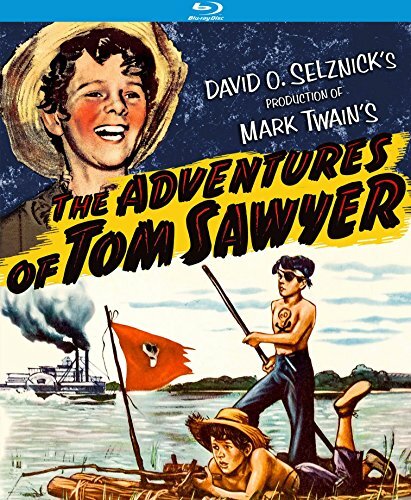 In this glorious adaptation of the Mark Twain classic, young Tom Sawyer (Tommy Kelly) is a big troublemaker. When he's not tricking others into doing his work, he's upsetting his aunt Polly (May Robson), or wooing his young love, Becky (Ann Gillis). But sometimes Tom's mischief gets him in over his head, and when he and his pal, Huckleberry Finn (Jackie Moran), witness a murder, they take a vow of silence and head down the river on a raft. The whole town believes they're dead, so when the boys return they're in a world of trouble. Norman Taurog (Don’t Give Up the Ship) directed this David O. Selznick (Duel in the Sun) production featuring Walter Brennan (Dakota), Victor Jory (Canadian Pacific) and Margaret Hamilton (Driftwood).